Higher Graduate Diploma in Clinical Science (Orthodontics), Chulalongkorn University. Master of Science (Orthodontics), Chulalongkorn University. 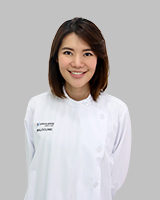 Doctor of Dental Surgery (DDS), Chulalongkorn University.